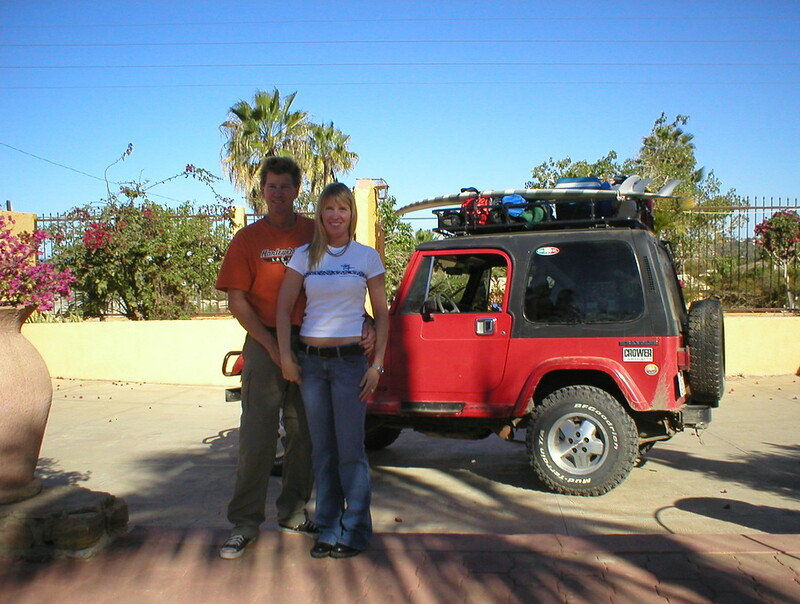 Back on the road: We were sad to leave Todos Santos but anxious to hit the road again. It was a short ride to Los Barriles. No budget hotels here so we planned to pitch the tent. 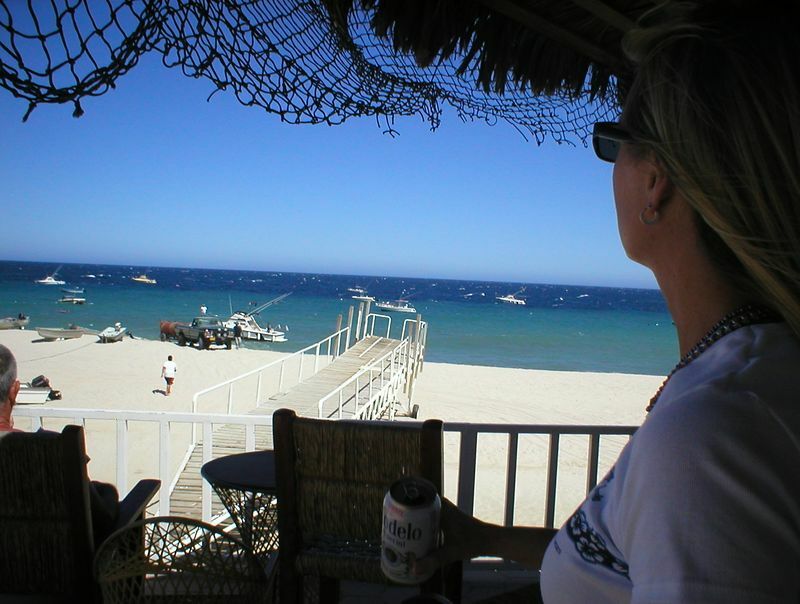 This is the windsurf hot spot of the Baja. We planned to maybe stay two weeks here so I can get my wind fix. Wave surfing was cool but to me it was too much waiting around for a good wave only to ride it a short distance. Windsurfing in big winds is high intensity high speed fun for as long as your body can hold on, more my style. At Los Barriles we had the camp spot practically to our selves. 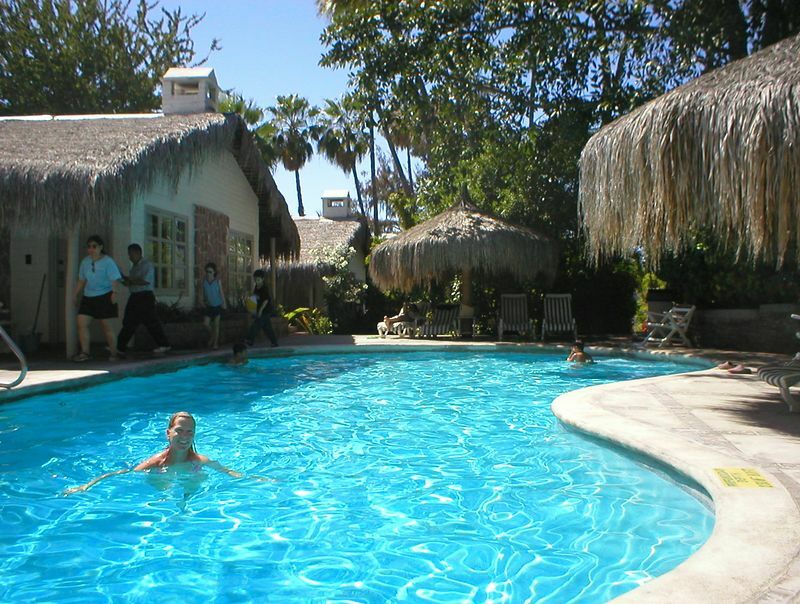 Our tent was a hundred yards from this spot, pool, tiki bar, deck and beach, we are likin it! The first day the winds were cranking, people were launching their windsurfers right in front of us. I inquired about the Vela windsurf rental place and found it was just right next door but it closed for the season a few weeks ago. I can’t believe it. My only regret so far on this trip was not hauling my own windsurfer and sails. Over the last couple months I’ve had at least a dozen high wind opportunities to sail but had no rig. I kept telling myself “there’s windsurf rentals in Los Barriles”, guess it wasn’t meant to be.This was still a great place to hang out and we had a great time. 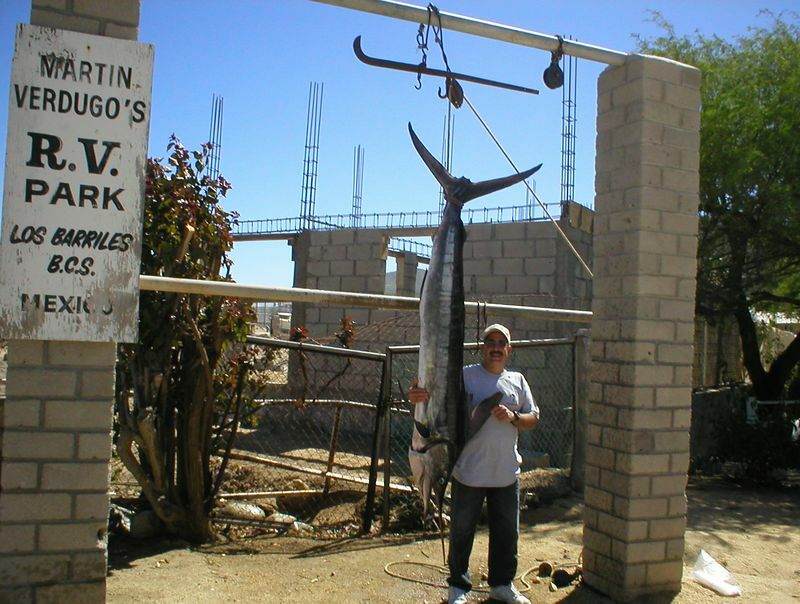 Los Barriles has some of the best fishing in the world. This guy caught two Marlins today and one yesterday. He said it took over an hour to land it and it was flying out of the water and putting up quite a struggle, how cool! 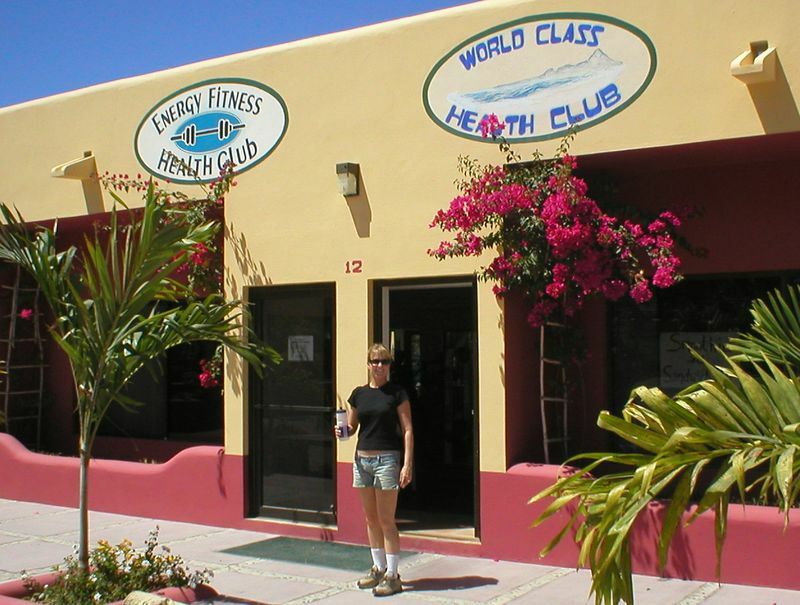 We found a health club just a short walk from our tent, $15 for a week. The owners were super friendly and everyone working out acted like a big extended family and were quick to include Heidi and I in on the fun. Thursday came and it was the weekend of Easter, this is a huge weekend for Mexicans. The camp area and beach was filling up. We found our tent surrounded by Mexican families all setting up for the weekend. 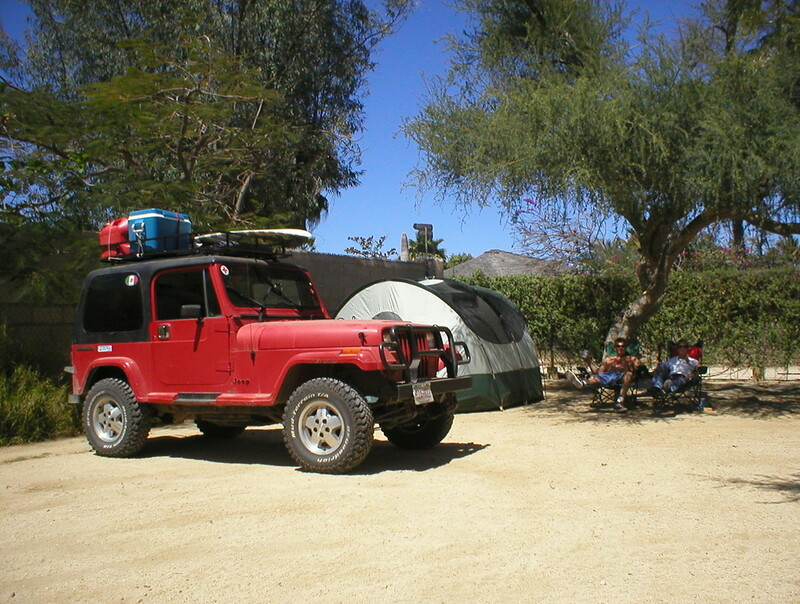 Baja Mexicans sure know how to camp bringing tables, chairs, grills, electric coffee makers, deep fryers, stereos and whatever. The gringo RV’ers were storming out not wanting to be part of the scene saying “There’s so many Mexicans here!” We thought to ourselves, Duh, this is Mexico. 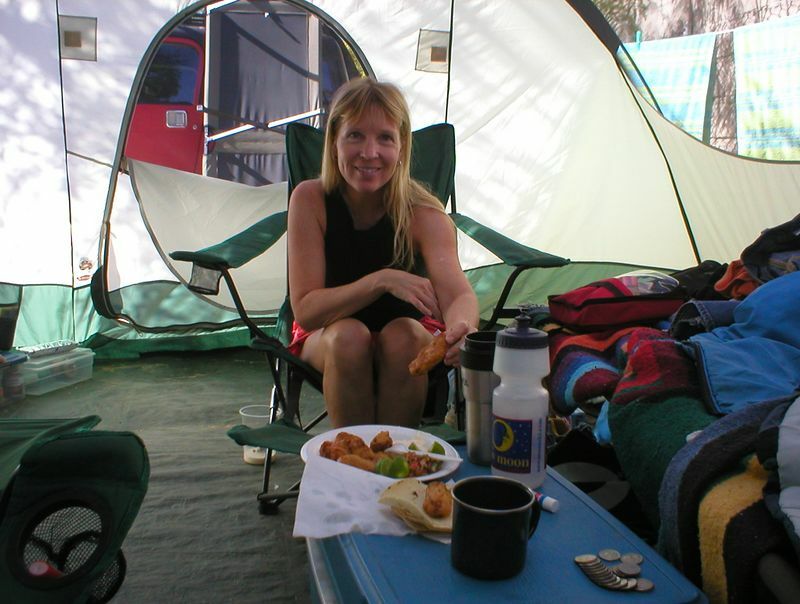 Friday morning Heidi and I are up drinking coffee and reading in our tent when all of sudden a neighbor pops up at our tent door with a plate of food, deep fried fish, cut limes, cilantro, mayo and tortillas, what a friendly gesture! The fish was some of the best we have ever had, it was called Cabrilla. 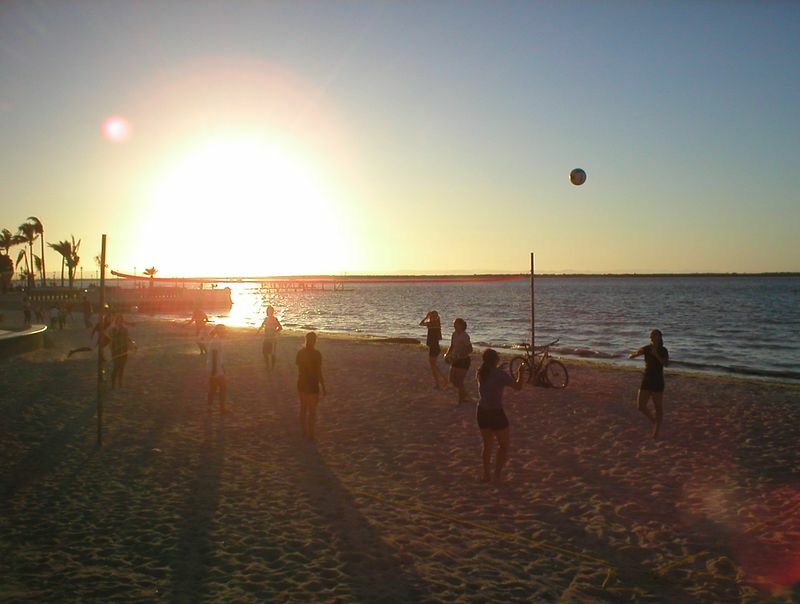 The Monday after Easter we go have an early workout then head out to La Paz where we will catch a ferry to the mainland. We were too late for the ferry so we checked into a nice hotel right on the malecon, Los Arcos. 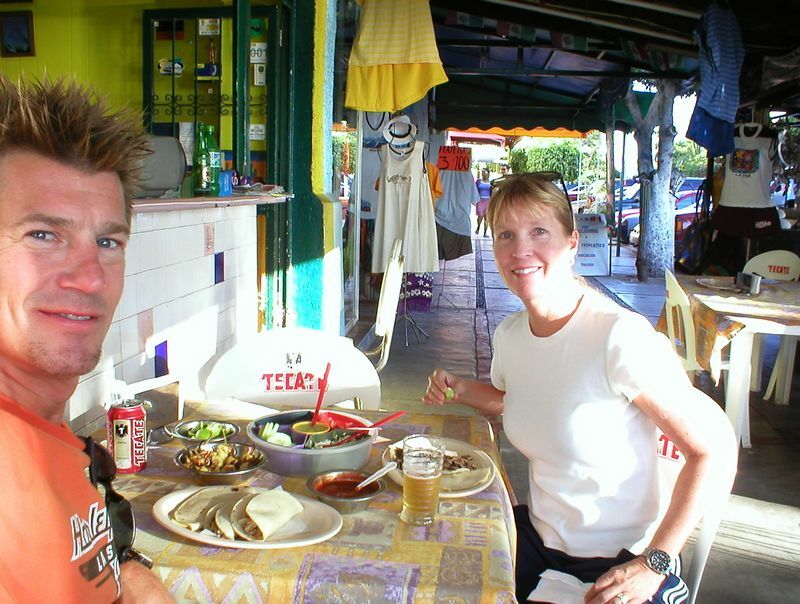 We really like La Paz so it was an easy job to convince Heidi to stay here two nights. 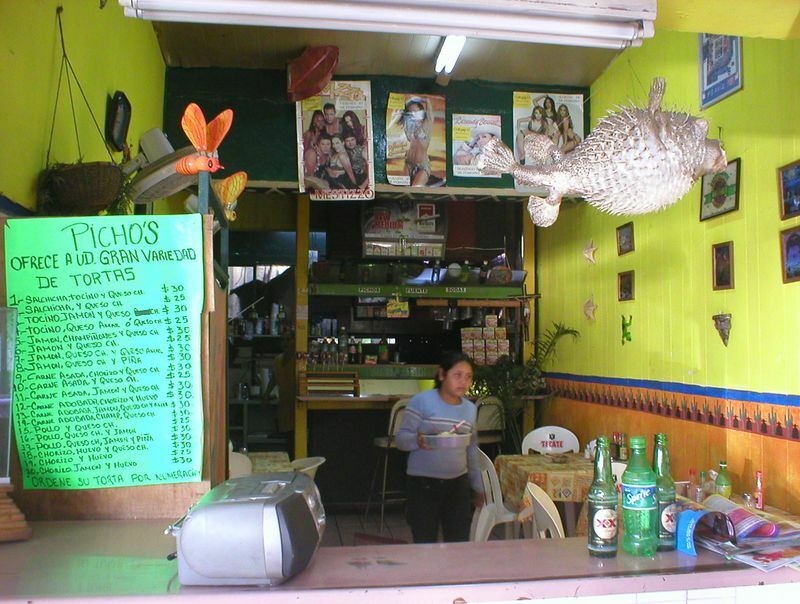 A great lunch spot just off the malecon. The malecon in La Paz is great. The ferry leaves at 3:00 PM today. Baja rules!